Sometimes I write articles for the Skylands Visitor Magazine, an online and print publication with wonderful stories about the history, geography, and cultural activities in the five most Northwest counties of New Jersey – Morris, Somerset, Hunterdon, Warren, and Sussex. If you feel like taking a scenic drive, want to pick strawberries, are looking for a great new hike, or are interested in learning about new recipes, Skylands Visitor Magazine is a great resource. I’ve been interviewing farmers, growers, and restaurateurs in the Skylands region, then begging for, preparing, and photographing their original recipes. Most recently, we decided to do a story on edible flowers. I quickly learned that I don’t know much about blooming edibles. 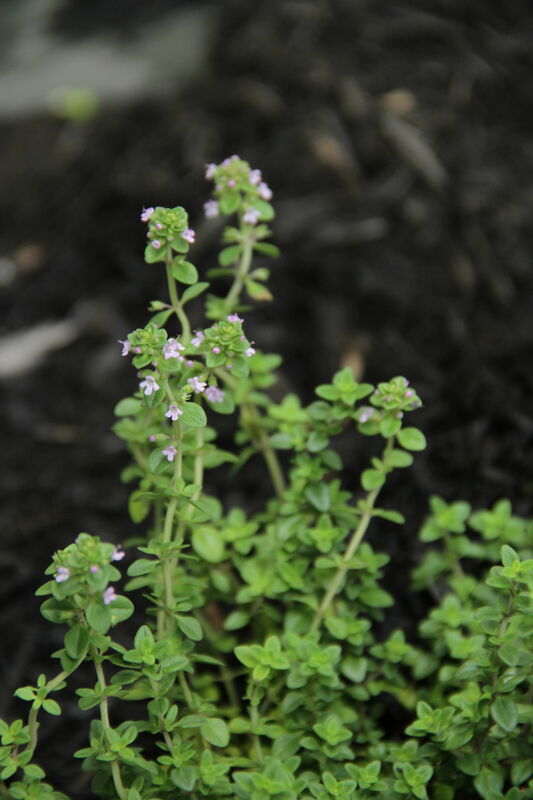 You may often cook with fresh herbs, but did you ever eat a thyme flower? Or sage, oregano, or chive flower? Herbal blooms have the taste of their parents, but with a concentrated, piquant flair. These tiny delicacies are available only when plants are in bloom, so use them. They are fragile and fleeting, uncommon and unique, luscious and lovely. 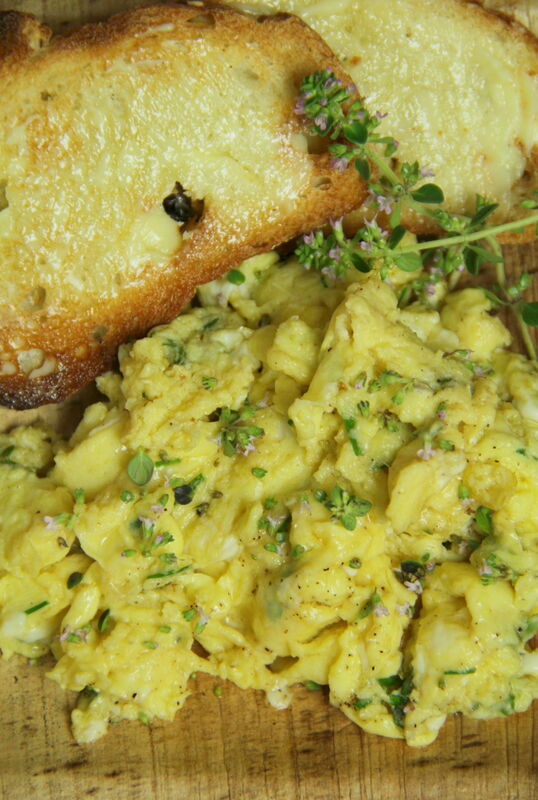 In this easy recipe, I chose to incorporate a touch of fresh thyme and chives into a fluff of creamy scrambled eggs, then seasoned the eggs simply with only salt, ground pepper, and tiny pink thyme flowers – an uncommon, flowery breakfast in bed. Heat butter in small, heavy pan over medium low heat. 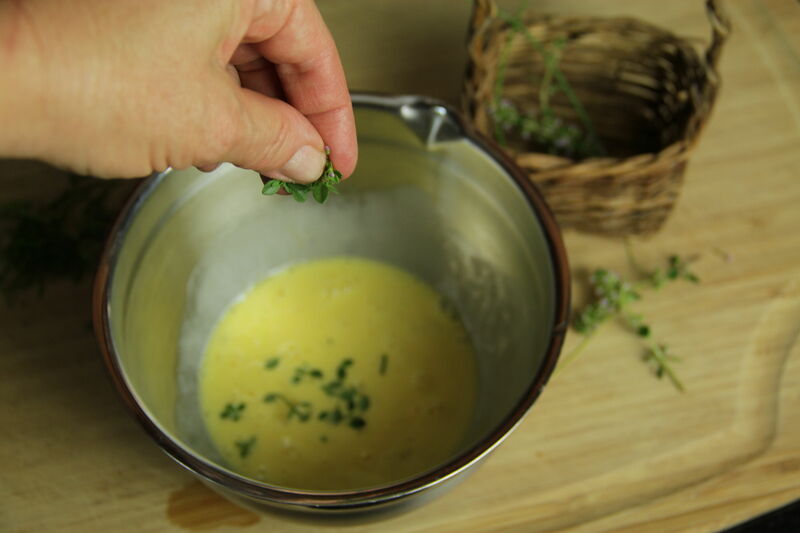 Break eggs into small bowl and whisk well with cream or milk. Stir in chopped thyme and chives. Add egg mixture to heated pan and allow to cook slowly and gently. Stir and lift frequently with wooden spoon to avoid sticking. 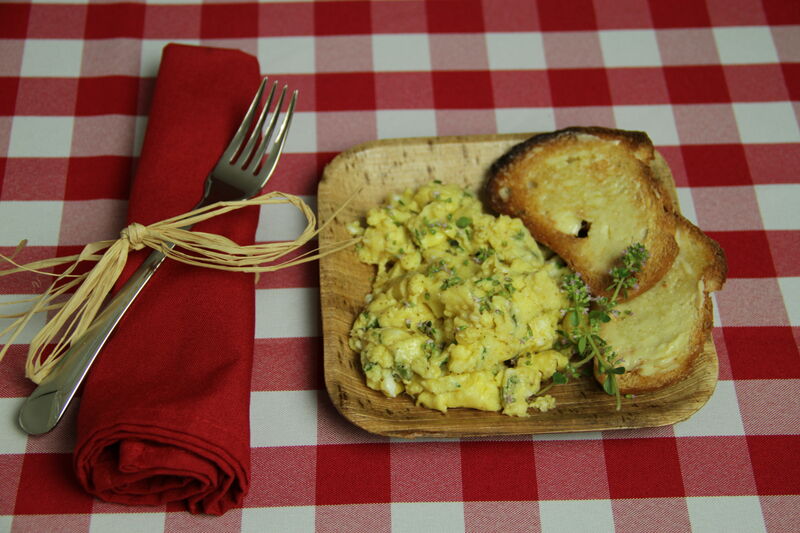 Spoon eggs out onto plate. Garnish with thyme flowers and season with salt and pepper. 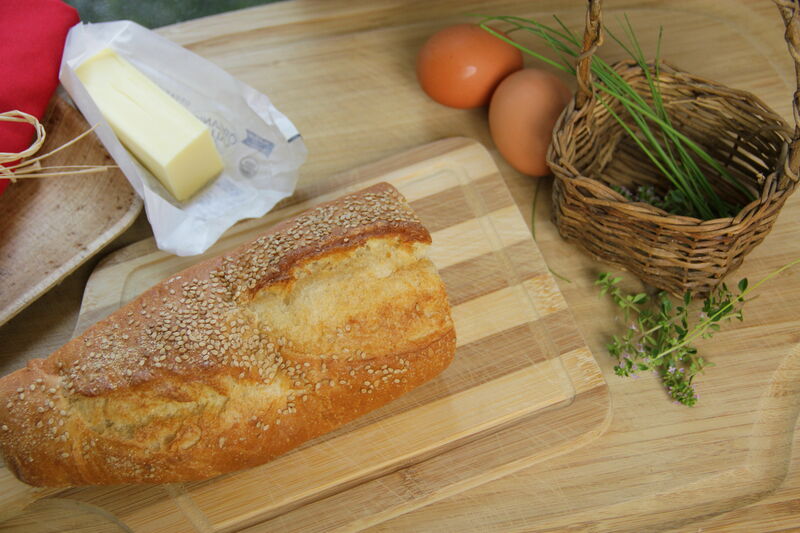 Serve immediately with thick, buttered toast.